Hello! My name is Maya and I love make-up! My enchantment with make-up dates back to the time when I was a little girl and I have been playing and experimenting with it ever since. I am an avid buyer and consumer of make-up and beauty products. I love this miraculous world of different colours, textures, formulas and scents. I have never been involved professionally in make-up artistry, but last summer I decided to take my passion for make-up to the next level, so I completed a course in freelance make-up at the Academy of Freelance Makeup in London. 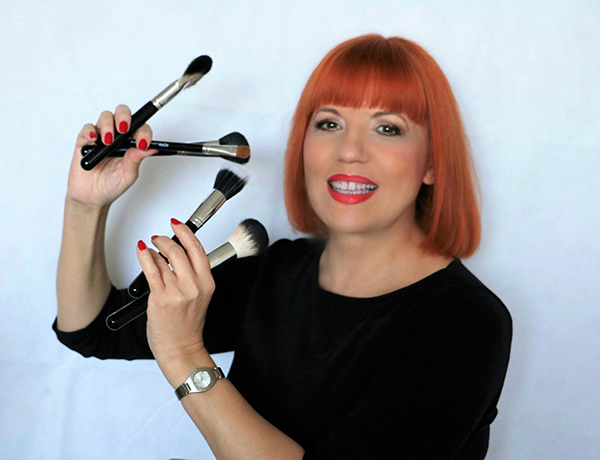 If you are a make-up lover as well, you can join me on this journey of exploring the endless world of make-up artistry and beauty. Here you are likely to find tutorials, product reviews, advice, tips and tricks, articles about different brands, make-up history and artists. You can subscribe to my blog or YouTube channel and never miss a new post or a video. You can also follow me on Facebook, Instagram, Twitter and Bloglovin’. Odd trait: I use my left and right hand alternately when applying make-up.